Express Your Beauty With Express Beauty Products! 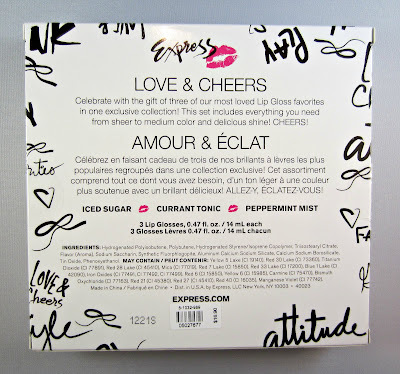 Express recently launched some of their very first beauty products, and they're available now online and in-stores. Express will continue to roll out additional beauty pieces each season and below are the latest pieces available online and in-stores for the holiday season! 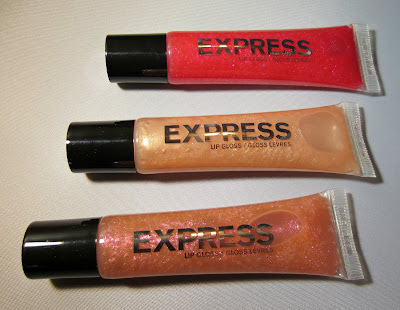 Express expands their brand into the beauty realm with fabulous products to polish off your look. 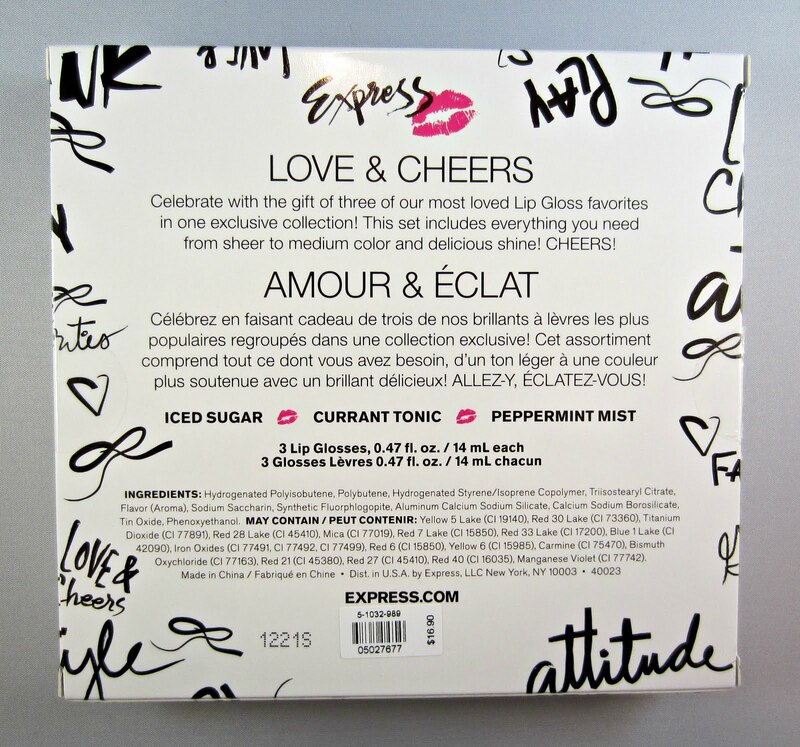 Gloss it up with the Love & Cheers lip gloss trio ($16.90) including shades Iced Sugar, Currant Tonic, and Peppermint Mist each with shine and a light shimmer to pump up your lips and a flavor as tasty as its name! 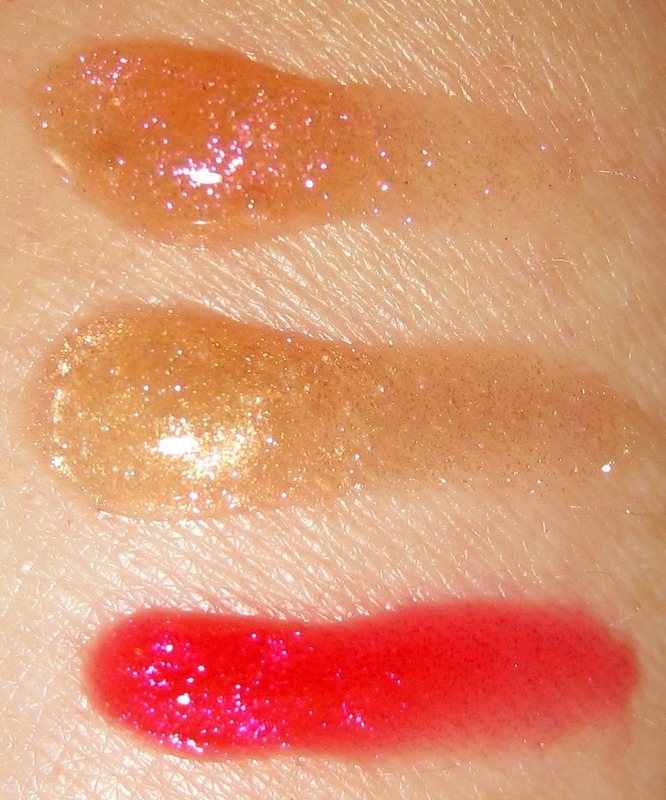 Top to bottom: Peppermint Mist (bright sparkly red), Iced Sugar (light shimmery gold), Currant Tonic (gorgeous iridescent pink sparkle in a lightly tinted base). These glosses are of medium consistency--not too thick--and they wear well and give more pigmentation than I expected. They feel very nice with no stickiness, and they have a mild scent and taste that reflects their name. They're beautiful shades on their own, layered with each other, or layered over a lip stick. The above swatch was taken using my light box, and when I turned out the lights I was amazed at the sparkle and glow these glosses had even in lower lighting, below. One more photo of Currant Tonic, because it's so pretty! Glam it up when you use the Limited Edition Shimmer Body Powder ($29.90). Perfect for your shoulders, legs, arms, hair and décolleté, the built in brush sweeps on a light shimmer giving you the perfect glow to your skin. This two in one product is also scented Love Express, their first ever fragrance for women, with notes of Lily of the Valley, Vanilla Musk, and Tiare Blossom. Look irresistible. Smell irresistible. Go get Love & Cheers and Shimmer Body Powder today! This shimmer body powder is a bit pricey at $29.90, and I'm not crazy about the packaging. It measures almost 7" in overall length, and about 1" in diameter on the tube that contains the product. The wide silver ring at the base of the brush can be twisted to an open or closed position. 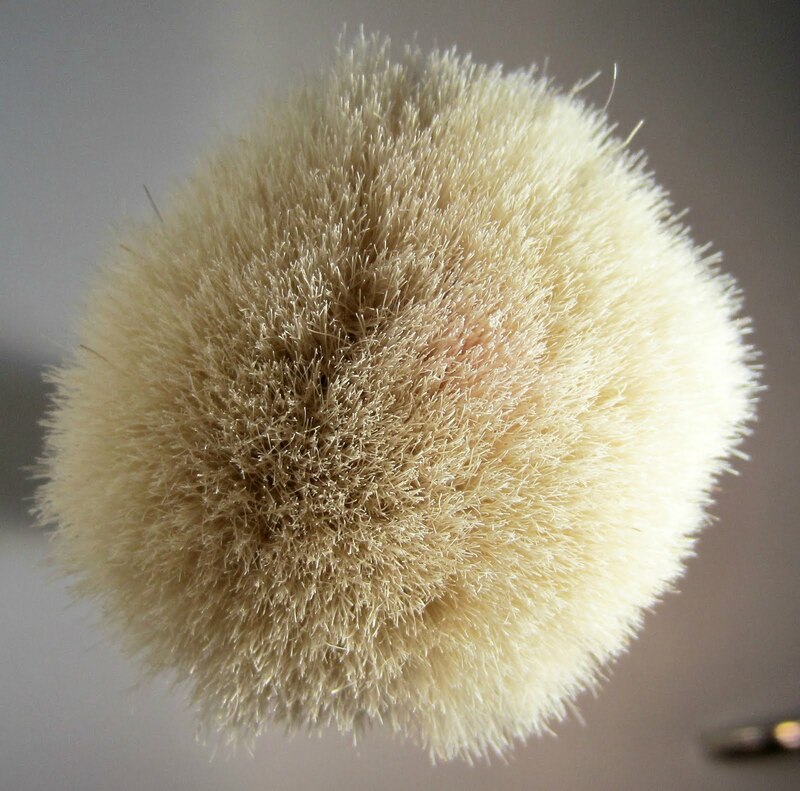 The brush itself is very large and fairly soft and fluffy. The product comes out in the center, and it doesn't dispense too much at a time, so you can blend and click more out if you need to. I'll talk more about the dispensing and the brush below. 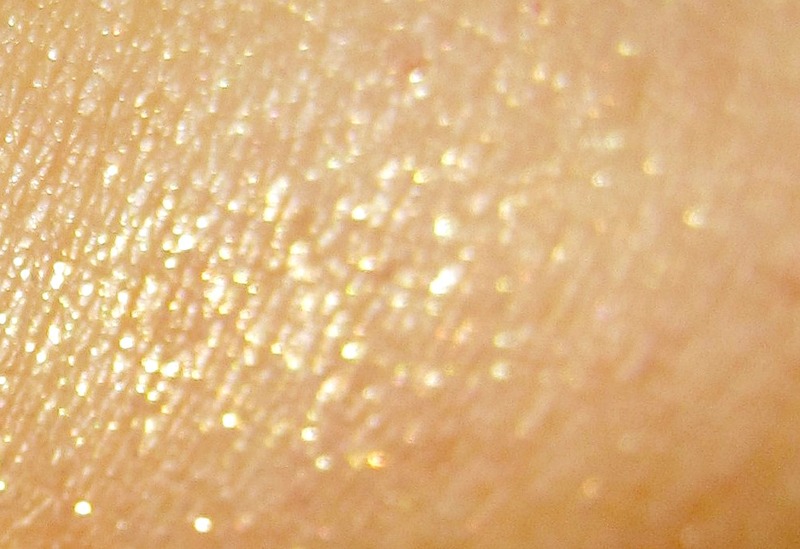 I couldn't get a decent photo of this, but it gives a touch of shimmery pale gold to your skin without looking like a glitter bomb dropped on you! It has a very nice scent that I can't quite put my finger on, but it reminds me a bit of Dior J'adore. The lip glosses get a big thumbs up from me, but I'm not entirely sold on the body powder. The powder itself is smooth and finely milled, but the packaging seems sort of big and clunky. I don't wear a lot of body highlighting powders, but in the summer when I have a tan, I sometimes put a bit on my shoulders or lightly down the center front of my legs. The brush on this is so big that it's a bit difficult to get the powder placed exactly where I want it to be. Even though it's a subtle color, I want to be able to place it more strategically than this type of packaging allows for. As I mentioned above, the powder comes through a fairly small area in the center of the brush, but when you blend it using a brush that large, the entire brush head picks up some of the powder as you blend. So rather than applying it just to your shin bone or collar bone for example, it's going to spread far beyond that specific area. That being said, I would like this product more if it were in a loose form with a smaller brush. 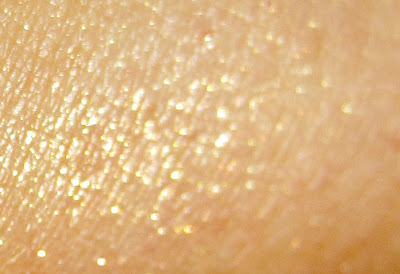 I have an OPI body shimmer that I apply with a brush, and it gives me the ability to apply it exactly where I want it. Because it's loose, I can also use it as an eye shadow and a shimmery bronzer/highlighter on my face. I also use Michael Kors Leg Shine with the same purpose, except that it's a push up stick (like a deoderant, for lack of a better way to describe it) that allows me to direct exactly where it will be placed. 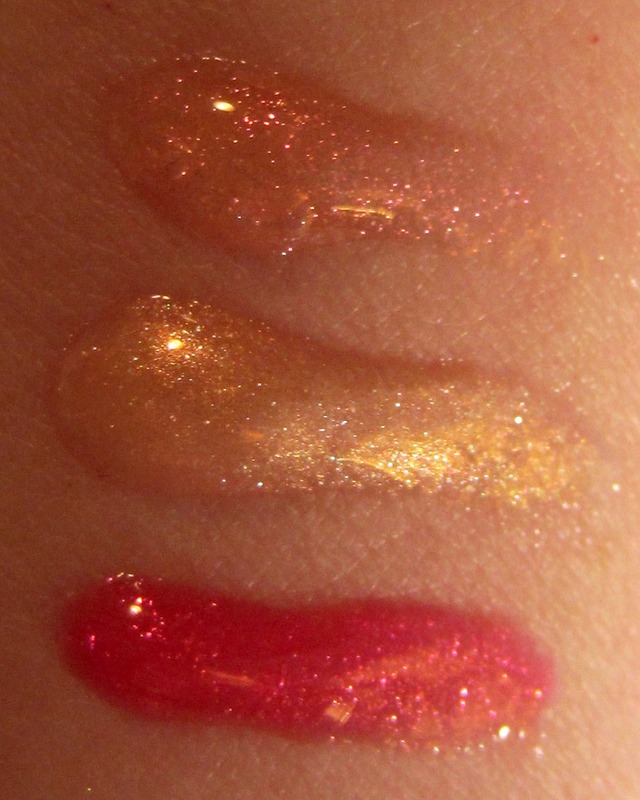 Pretty glosses. Love the shimmer in them. Not anything I'd buy since I have tons of tubes of lip glosses!